Sudesh Rana: I am a 23-year-old graduate and working as a trainee for the past seven months. I get a monthly stipend of Rs16,000 that could be raised to Rs25,000 in another six months, and I can save up to Rs10,000 from my salary. What should be the best way to invest the money? The primary goal of any investment is to beat inflation and get some additional returns out of the money you have put in. Many young people now shy away from bank fixed deposits because FDs cannot provide inflation-beating returns. On the other hand, equity as an asset class has caught people's attention because the returns realised over the long term (10-15 years) are far superior compared to other asset classes. As equities have the potential to deliver superior returns, the risk associated is also high. As you are young and have time on your side, we would advise you to allocate the major part of your savings to equities to develop a meaningful corpus. But first of all, you should build an emergency corpus to take care of all contingencies. For that, you should invest Rs6,300 for the next six months. Part of this amount can be invested in FDs and the rest in a debt liquid fund as the latter could provide returns of 6.8-7 per cent. Moreover, you should buy term insurance of Rs1 crore, which will cost you around Rs700 a month. Next, start a monthly investment of Rs3,000 in a mutual fund via SIP. After building your emergency corpus, you can also invest that money (Rs6,300) in mutual funds. You can allocate Rs2,500 in a small-cap fund and the rest can be invested in large caps. Khushal Rathi: After the recent mutual fund categorisation, there are four types of hybrid funds in the market. How are they different and where should we invest? Hybrid funds are differentiated based on their asset allocation mix, mainly equity and debt. Some funds can also invest in other assets such as gold. There is the conservative hybrid, which has 10-25 per cent in equity and the rest in debt instruments. A balanced hybrid fund comes with 40-60 per cent in equity and the rest in debt. An aggressive hybrid has 65-80 per cent in equity and the rest in debt. And finally, you have dynamic asset allocation/balanced advantage where there is no set limit on equity and debt exposures. You will also find equity savings funds, with a minimum 65 per cent in equity, of which a certain portion is hedged and the rest is in debt. 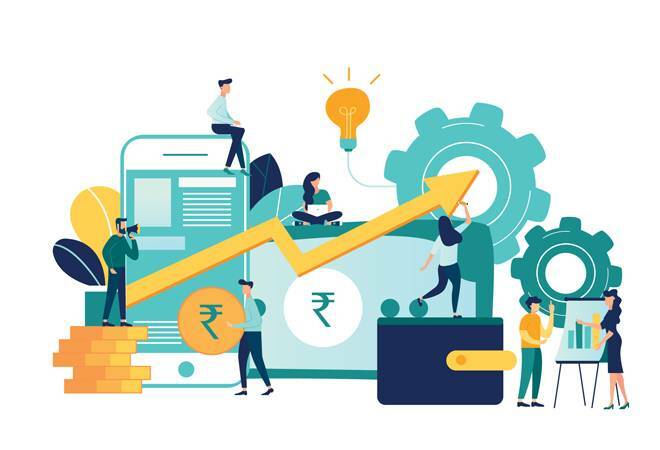 Plus, there are arbitrage funds, which follow the arbitrage strategy in equity instruments, and multi-asset funds, which can invest in three asset classes, with a minimum 10 per cent in each. As the proportion of equity in a fund increases, its expected returns and risk also go up. So, the investment choice largely depends on an investor's risk profile. Taxation can be a secondary consideration as funds with a minimum 65 per cent in equity are considered as equity funds and attract the capital gains tax akin to equity funds. For the rest, taxation is similar to debt funds. Krishav Mukherjee: We are two brothers and currently staying in a house bought by our late father. We want to renovate the house and are applying for a joint loan for the same, but we are not able to procure it. Are brothers, or siblings in general, not eligible for a joint loan? Usually, as many as six co-applicants can opt for a joint home loan, including the person's spouse and other blood relatives such as parents and siblings. But it is not usually granted to friends, sisters or unmarried partners living together although they could be co-owners of the property. Some banks and financial institutions also allow brothers to take a joint home loan provided both are co-owners. Most of these institutions follow something called the income ownership grid, which defines whose income and whose ownership can be considered for the home loan. Lenders consider several other factors such as an applicant's age, job stability, credit score and repayment/payment track record. A borrower must submit all the documents concerning the co-applicants, right from income proof, bank statements and KYC details to address proof and proof of property co-ownership. In this case, you need to speak to your lender and legal advisor as obligations vary. Hemant Desai: My annual income is Rs10 lakh and I have purchased a term plan worth Rs25 lakh. Now I am planning to marry and also buy a house this year. Should I increase my insurance cover? It is prudent of you to evaluate your insurance policy at every stage of life and make sure that you are adequately covered. Both marriage and home buying are significant milestones and come with certain liabilities. Therefore, you should opt for additional cover given that your need for insurance is about to increase. The rule of thumb is to get a term cover which is 8-10 times your annual salary so that the insurance amount is enough to take care of your income for the next 15-20 years or until your family finds an alternative source of income. Hence, it will be wise to increase your cover by opting for an additional term plan that will provide the remaining sum assured.